Thomas Connect | Product Experience Management for Industry. Drive sales by providing an optimized online product experience to your customers and partners. Today's buyers expect products to be easy to find online, with detailed information that makes it simple to evaluate and compare that product with similar and competing products. Unfortunately, many small and midsized distributors simply don't have the capacity or the data needed to build a robust e-commerce presence that delivers an optimal product experience. Similarly, many industrial OEMs lack the resources to provide their distributors with consistent, high-quality, up-to-date-data. Thomas Connect, built upon a proven product experience management platform that has helped OEMs and distributors sell millions of products and components online, helps level the online playing field for small and midsized suppliers. Easily power all of your sales channels with consistent, up-to-date product data. 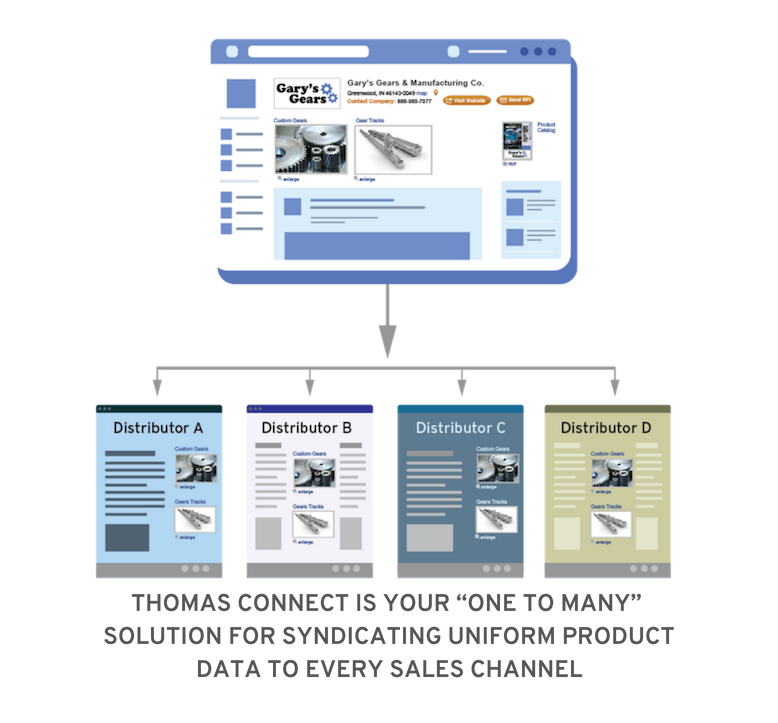 Thomas Connect is an easy and effective way to create and maintain detailed product information, publish it online, and syndicate it to your sales partners. Take your website to the next level with real-time, OEM-approved data. 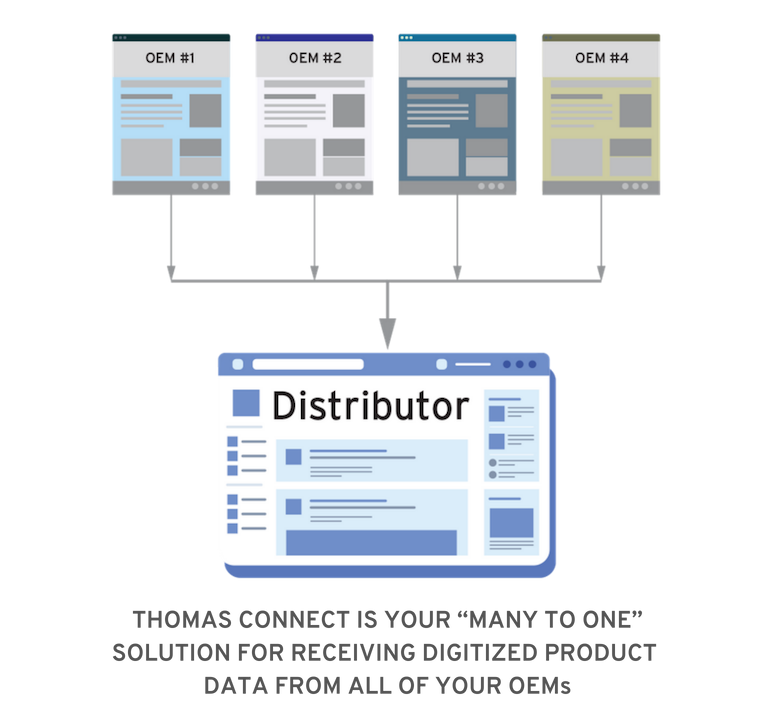 Thomas Connect is a simple, powerful way to have your OEMs automatically populate your eCatalog with the detailed product data today’s online buyers are looking for. Any questions? Check out our Thomas Connect FAQ page.